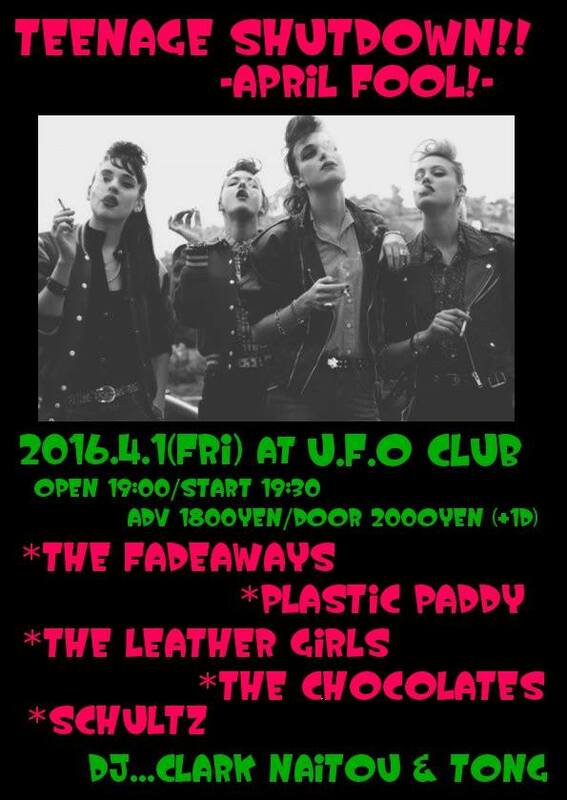 The Fadeaways and friends at UFO Club! 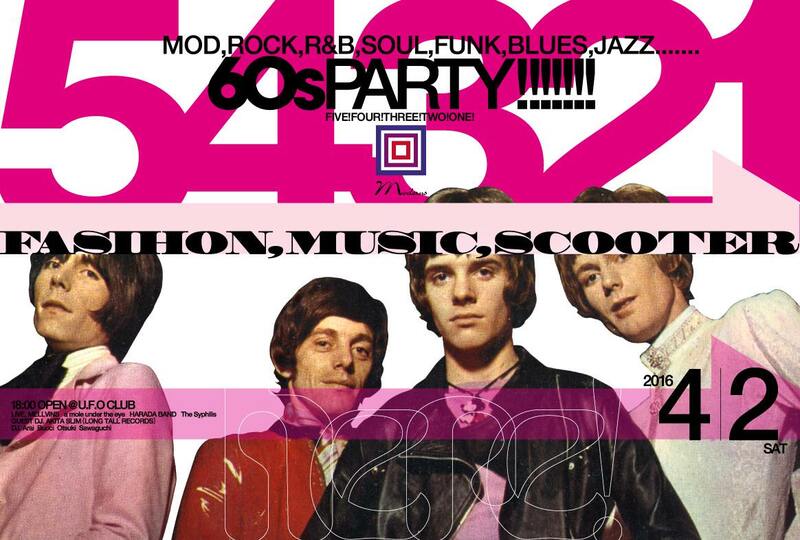 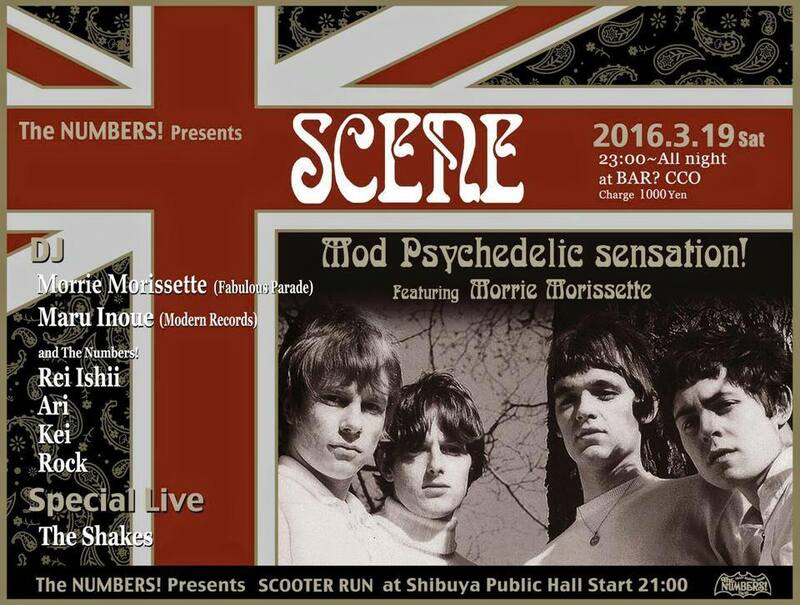 60s Mod meeting at UFO Club with Mellvins and more! 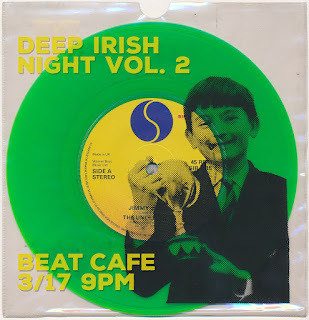 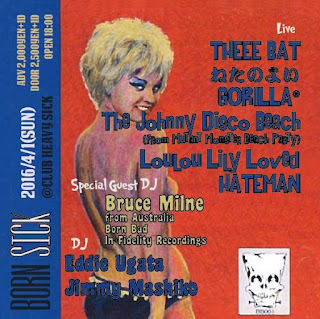 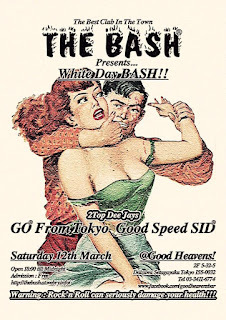 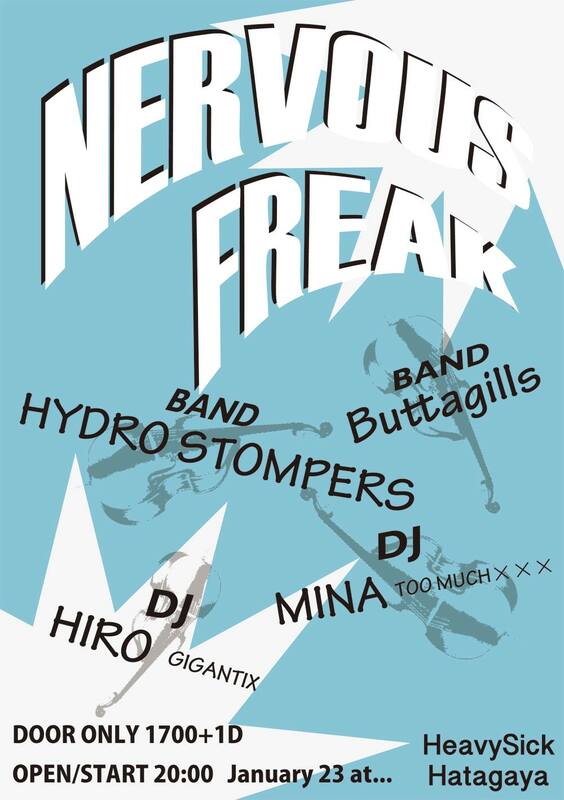 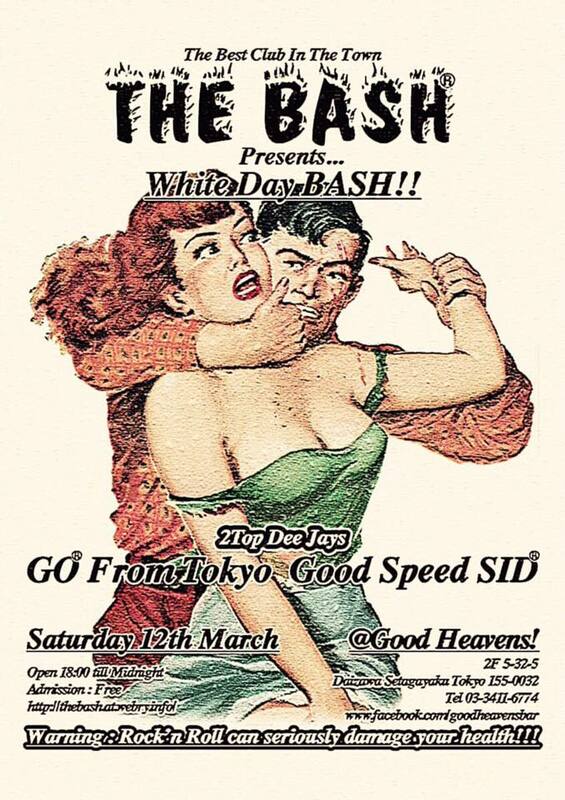 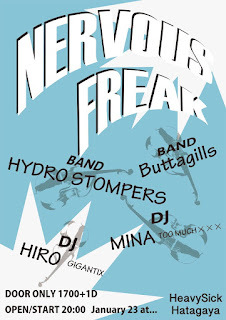 Theee Bat headline a typically sick night in Hatagaya, with Australia's Bruce Milne (Au-Go-Go records) on DJ duties! 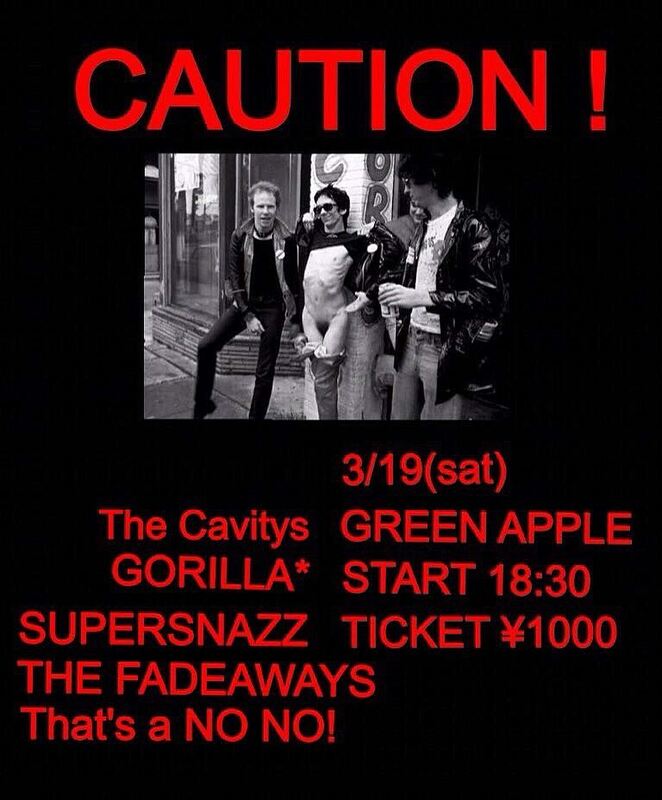 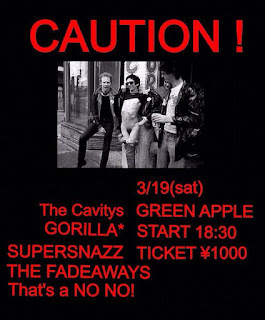 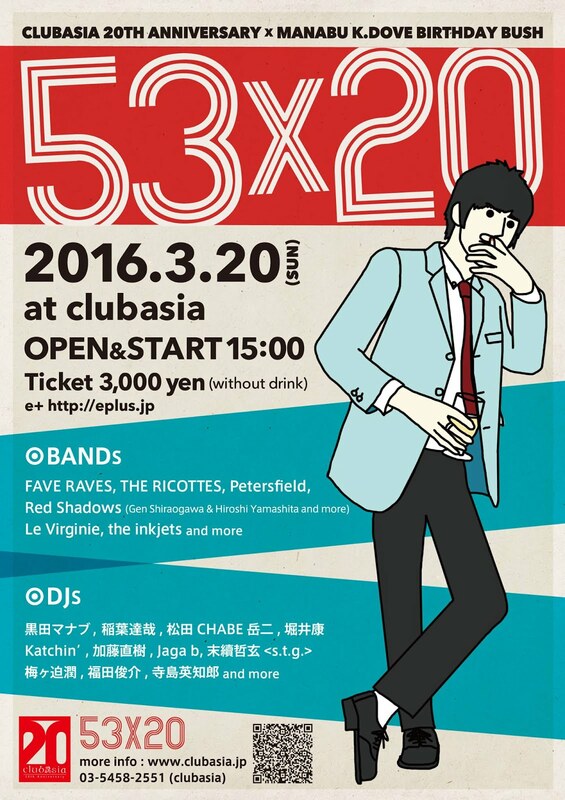 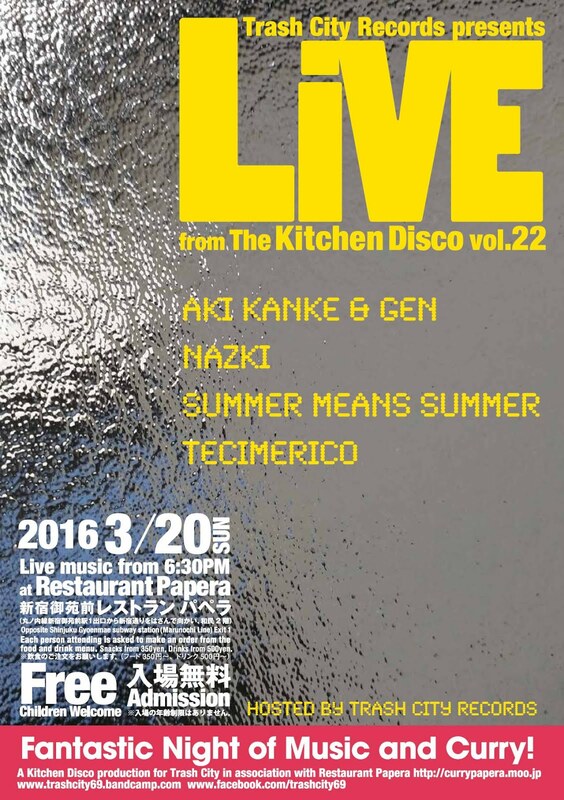 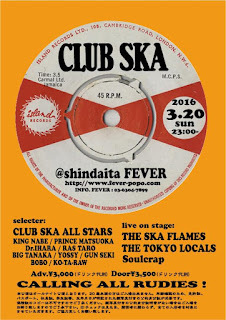 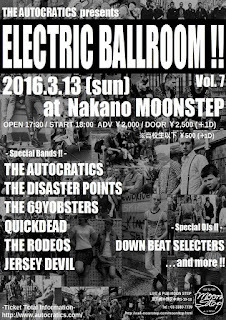 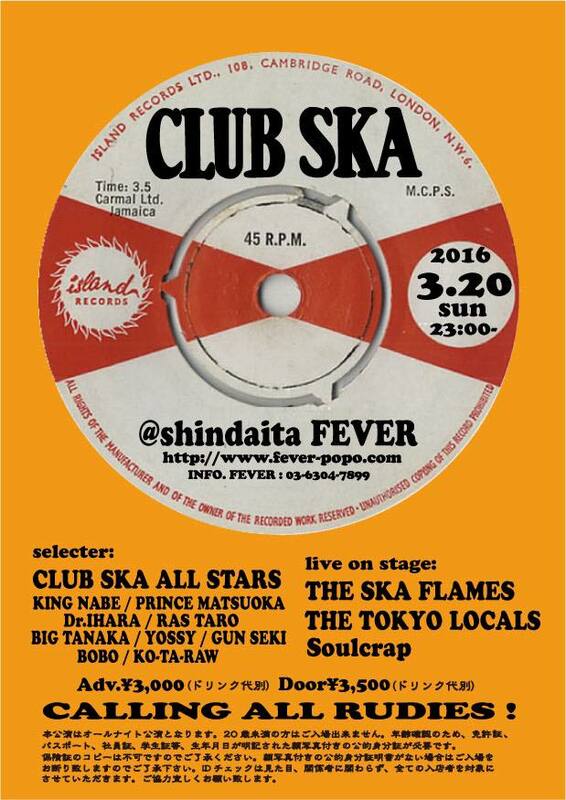 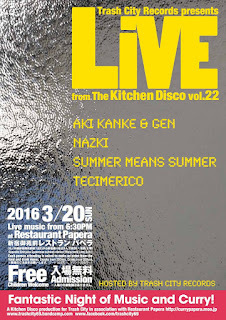 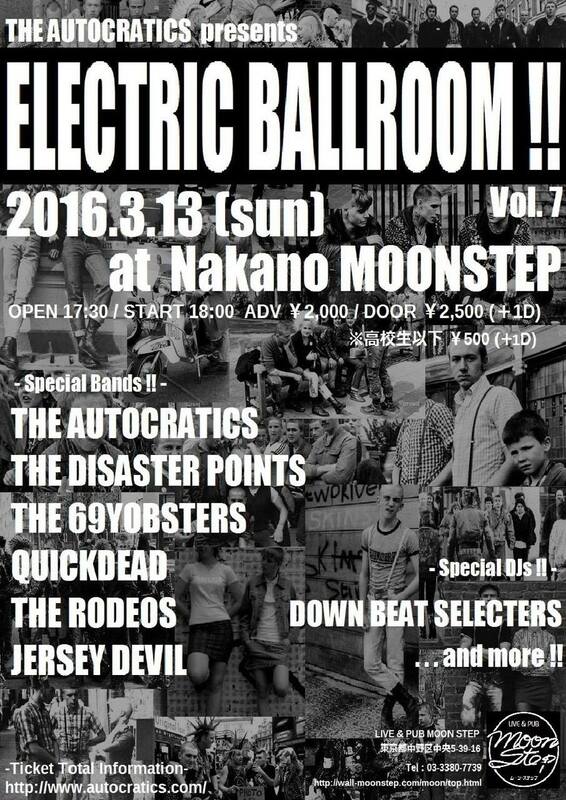 Superb lineup at one of Tokyo's best small live houses including Supersnazz, The Fadeaways and That's a No No! 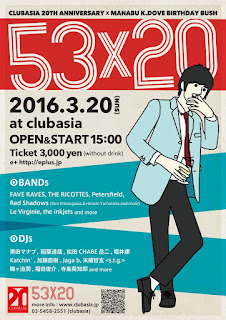 - all for only 1000 yen! 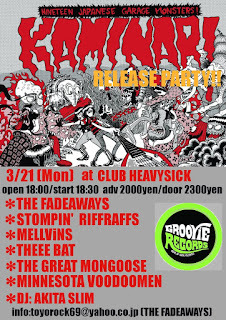 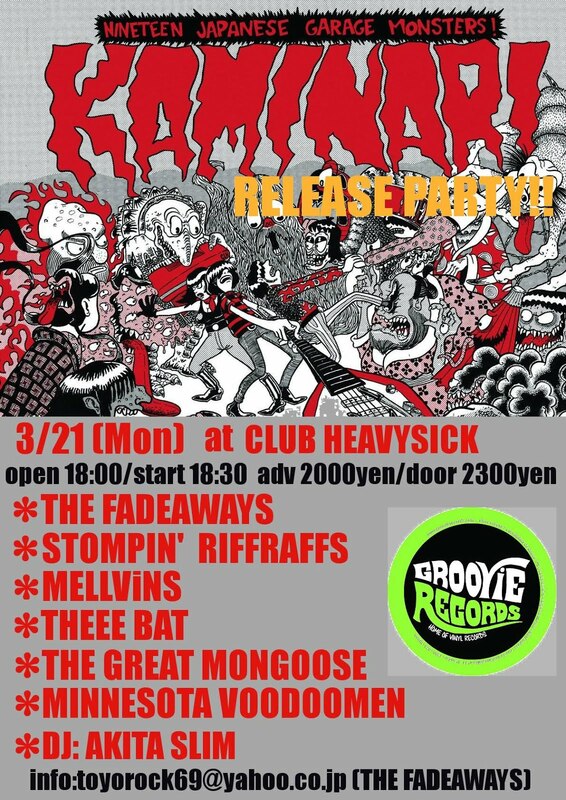 Release party for a new compilation of Japanese garage rock features many of Tokyo's best bands including Thee Bat, Minnesota Voodoomen, Stompin Riffraffs, The Fadeaways, Mellvins and The Great Mongoose and DJ Akita Slim! 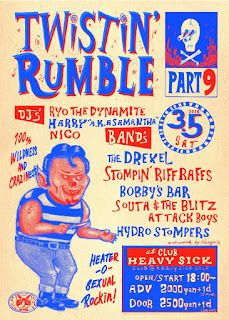 With The Shakes, scooter run and all-night DJs! With Petersfield, The Ricottes, more! 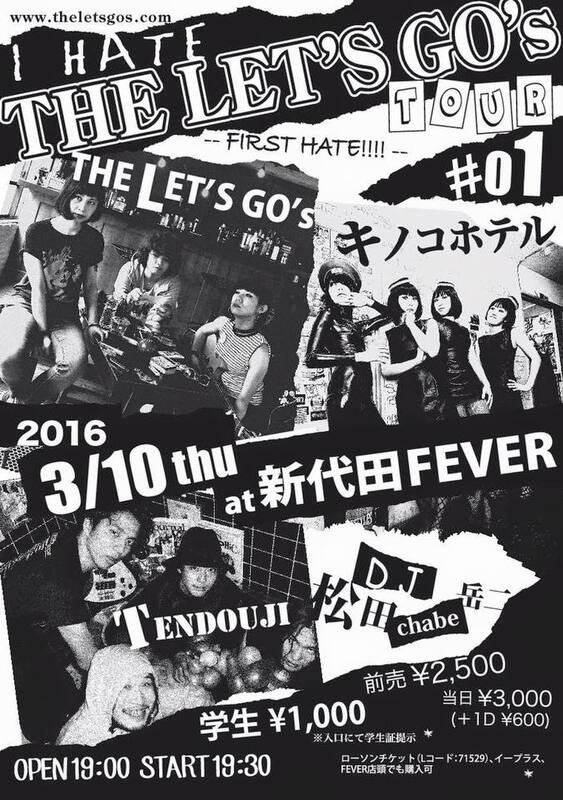 I HATE THE LET'S GO's TOUR! Pop-punkers The Let's Go's kick off their record release tour at Shindaita Fever, with the wild 60s-tinged Kinoco Hotel and guests! 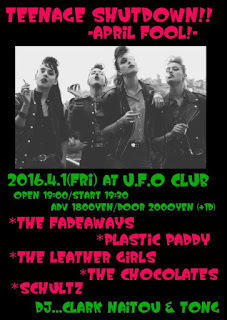 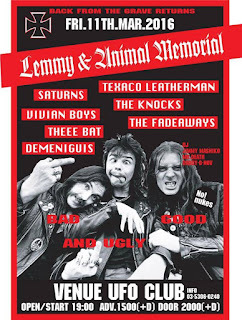 The usual gang of great garage rock bands convene at UFO Club with Texaco Leatherman, The Fadaways and many more! 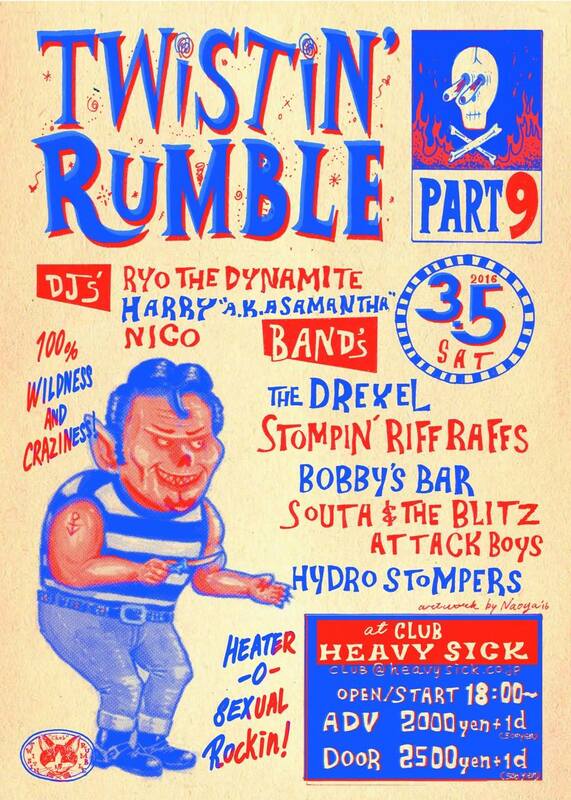 With Bobby's Bar, Stompin' Riffraffs, The Drexel and more! 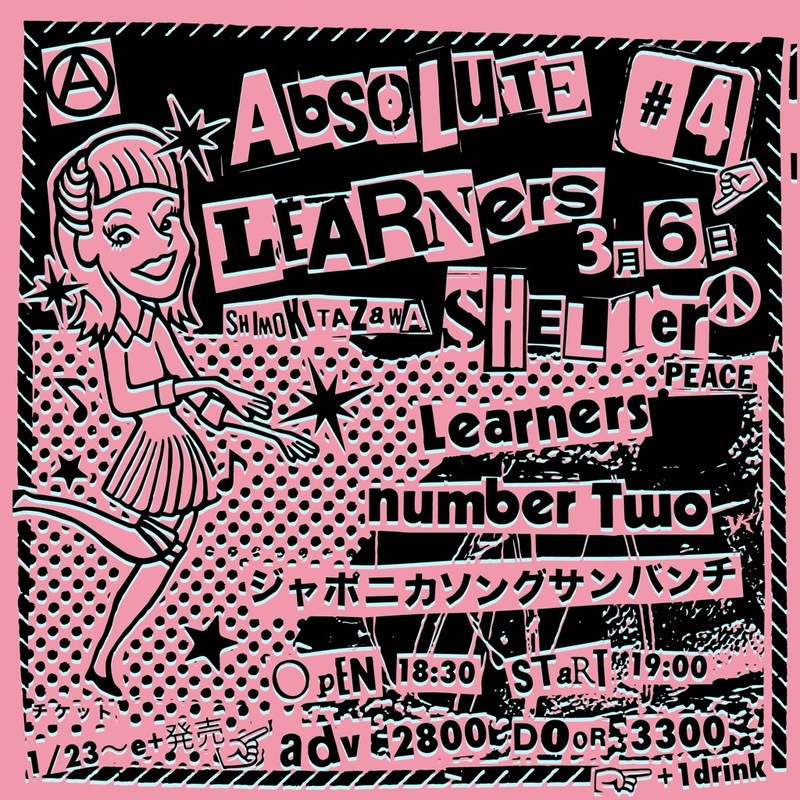 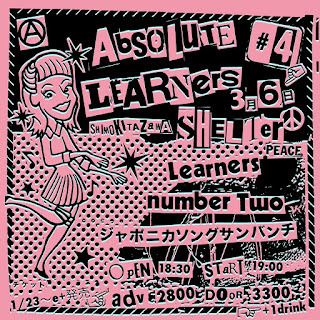 Swinging sunshine pop from Learners at Shimokitazawa Shelter! GO LIKE WEIRD -Raw! 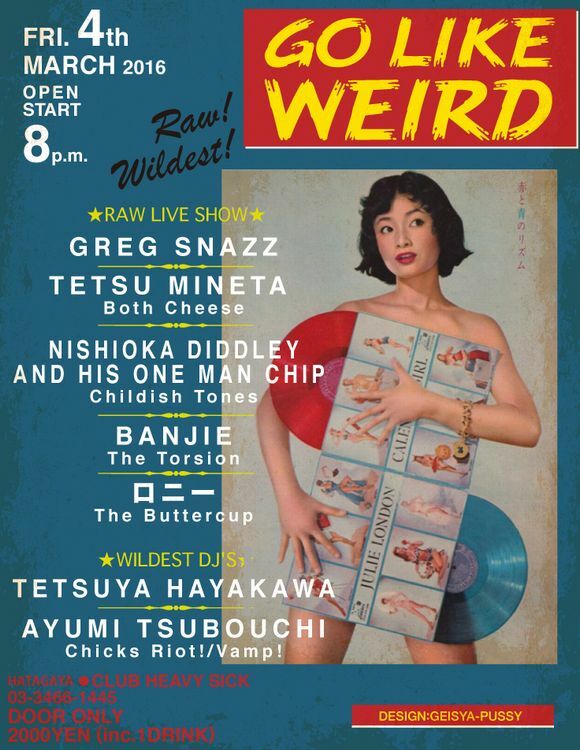 Wildest! Tucker, Childish Tones, DJs, more!